To find one’s voice as a writer means discovering your personal and unique way of telling a story. That voice is not invented or created, but discovered. 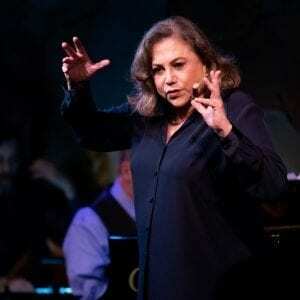 Kathleen Turner’s voice is very much a part of her that we all know and love. The actual unique sound of her voice. In her Café Carlyle debut Finding My Voice, Ms. Turner’s performance is not so much a search, but a declaration of whom she has been to us always: an actress to depend on, a performer who comes through. 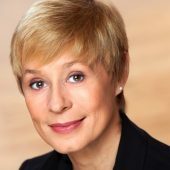 At a time when women’s voices are demanding to be part of the conversation, to be heard and acknowledged, Finding My Voice is an appropriate title. At a time when celebrity can be just looks, followers and no talent, a tried and true woman of substance is needed. Talent and gumption, bawdiness and sass, and just enough broad to make it all so damn fun. She is the real deal. The cheers erupted from the audience when Ms. Turner hit the stage, because this is New York and she is home. The stories of her life easily guide us from one song to another. The song, Pick Yourself Up, is not only Ms. Turner’s personal mantra, but also freely given advice for all of us. Never give up. Never surrender. She hasn’t. Not when rheumatoid arthritis threatened to stop her, or aging in a public world where it is not allowed. She is a workhorse, a star, a hoofer, the real deal, an entertainer in the purist form who has a taproot of depth of life resources. She talks of her work on Broadway and Off Off Broadway, as well as her activism with Planned Parenthood starting when she was 19. She has always found the time to march and speak out and this evening is no different. You’ve Got to Be Carefully Taught, a song for the times; one of Rodgers and Hammerstein’s most brilliant songs and unfortunately still relevant today. When she sings Send in the Clowns, my heart took a leap, because like any great actress she interprets each line, giving them meaning and depth so that we not only hear the words, but feel them filled up with her life force. 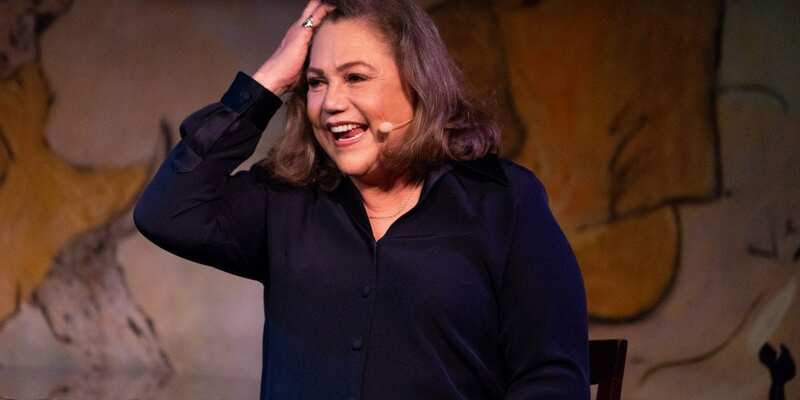 What a perfect combination, Kathleen Turner and the incomparable Café Carlyle. She is a class act and so is her show. Go! Performances will take place Tuesday – Saturday at 8:45pm. May 22-June 2. Weekday pricing begins at $85 per person / Bar Seating: $60 / Premium Seating: $135. Weekend pricing begins at $100 per person / Bar Seating: $75 / Premium Seating: $150. Reservations can be made by phone at 212.744.1600 or online via Ticketweb. Café Carlyle is located in The Carlyle, A Rosewood Hotel (35 East 76th Street, at Madison Avenue).